I had big plans for posting a tutorial last night on the braided Easter egg bread that I’m making for Sunday. But then we had friends over and attempted to decorate two dozen eggs. And then we had mojitos… and wine… and dessert (with some calzones and salad, too). And then I climbed into bed before 10 pm (by about 4 minutes), something that I rarely do without putting up a fight. 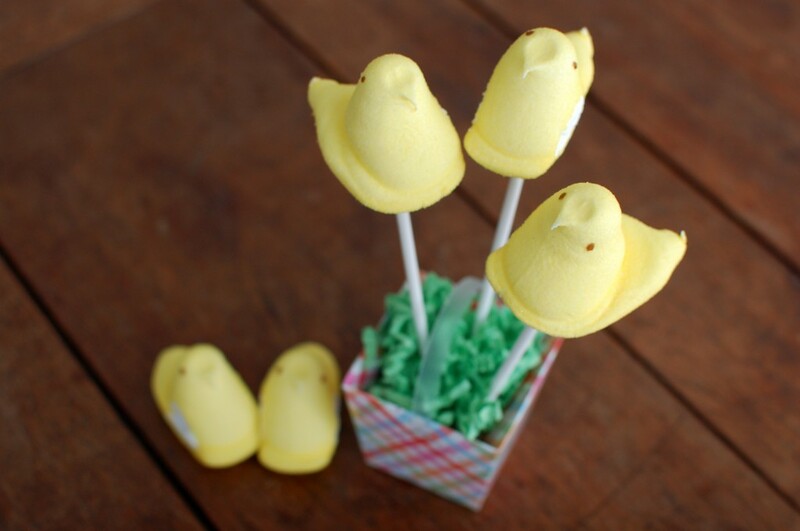 So here we are, instead, with a post about a crazy-easy Easter dessert: Peep pops. 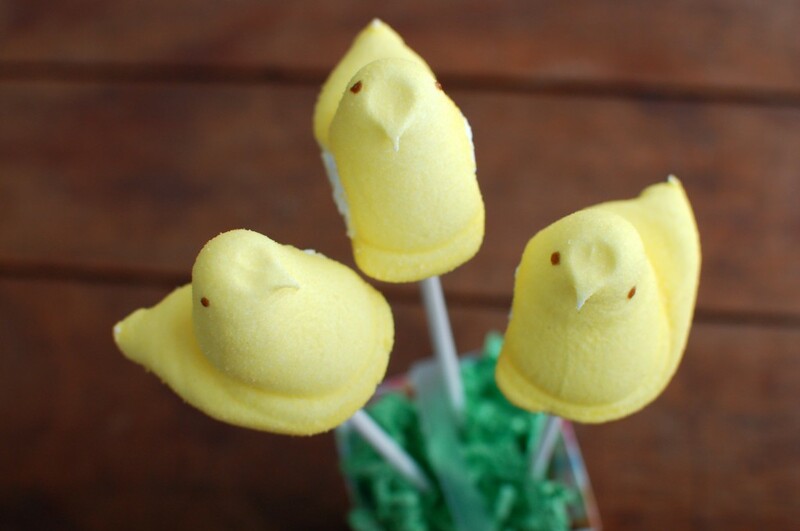 Maintaining my previous assertion that pops can make anything popular, I bring you Peep pops. Just buy the little marshmallow creatures in your favorite colors and add them to lollipop sticks! To display the pops, an easy option is to put them in a low jar. If you have a bit more time, add floral foam to the bottom of a basket (or takeout container from the dollar store, in my case), and top with fake grass. 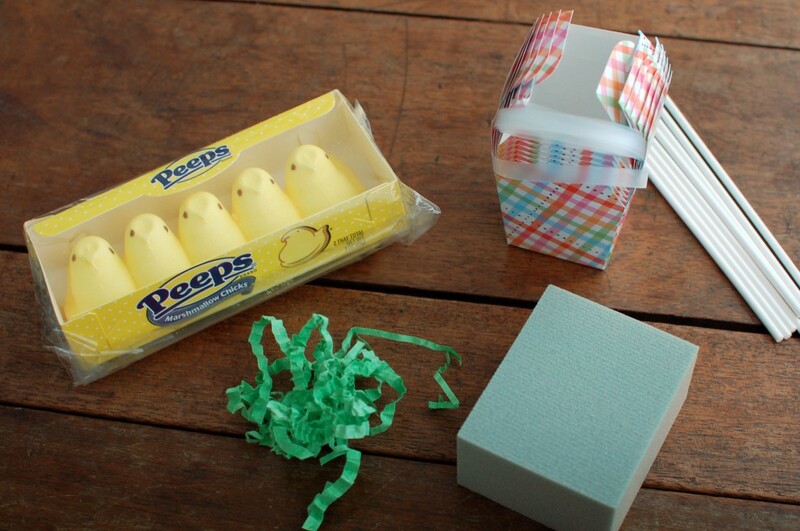 A whole flock of Peep pops would look great in a colorful Easter basket!